Whether you were dating for three months or three years, the outcome is more often than not the same – breakups hurt like hell. You know what I’m talking about. One of you is typically more affected than the other and you usually only feel four types of emotions – disappointment, sadness, anger, and rage. Although these feelings are perfectly healthy and normal, have you ever considered what happens to your health when you stay stuck in this state for too long? What happens internally when you can’t let go of somebody who has already let go of you? Let me tell you. Emotional toxicity builds up and heavy stress is placed on your mind and body; this can be as dangerous to your health as serious chronic illness. Getting stuck in the blues is tremendously unhealthy and unproductive. When you say good-bye to an ex, you are given an opportunity to get clearer on what you want going forward and to learn more about yourself. Your relationship falling apart is in fact good news and it brings you closer to a compatible life mate. I know that moving on is easier said than done, but there are proven steps that you can take to help you get through the breakup blues faster. 1 – Timed Tears – Are you ready to donate gifts from your ex or throw away photos? If not, put them in a box and hide them some place where you won’t see them. As you are placing items in the box, say good-bye, shed some tears, and visualize letting go. It is not only okay to cry during this time, it is absolutely essential. Emotional crying helps heal the heart because emotional tears are released, which contain stress hormones and toxins. However, during any breakup detox, it is important to set a daily timer, otherwise you may find yourself lying in bed for days crying your eyes out. When your timer expires, you’re done weeping for the day. Dry your eyes, put some sliced organic cucumbers over them, and believe that you’ll get through this. 2 – Talk It Out – I don’t have enough space to list all the health benefits that come with communicating feelings. It’s simple. Call your friends, talk to your cat, book an appointment with your therapist, or write in your journal. Under no circumstances should you update your Facebook status letting the whole world know just how sad, depressed, and angry you really are. Get emotional support from a few quality friends or people you can depend on. 3 – Physical Touch – Releases endorphins and is good medicine to soothe a broken heart. Don’t feel bad about asking your loved ones for hugs. Oxytocin, our favourite love hormone, increases in both men and women with hugging. Being held by somebody you care about can also reduce the stress hormone cortisol. If you don’t feel like being around friends or family just yet, go for a massage at the spa. Healing hands can go a long way. 4 – Move Your Body – If you haven’t hit the gym a day in your life, now is the time to get off the couch and move your body. Take up a Zumba class, lift weights, punch the boxing bag, or take a walk by the lake. You’ve got to do some sort of physical activity during this time. The benefits of exercise are endless – you’ll release happy hormones, you’ll sleep better, and you may even feel inner freedom. Just try it! 5 – Sauna Sweating – One study suggests that sauna treatments reduce anxiety and increase mood. This ancient daily practice will not only rid your body of toxins through sweating, but you can expect to feel deeply relaxed and rejuvenated. Stay well hydrated throughout your sauna sessions and add a few drops of Bach Flower Rescue Remedy to your water. It is one of my favourite natural homeopathic remedies used to comfort and reassure . 6 – Your Positive Personality – As every relationship comes to an end, you are brought one step closer to your lifelong partner. Carry a positive approach to your breakup and write down a positive affirmation like this one, “I will use this time to love myself and nurture my body. I leave this relationship with appreciation for the impact it had on my life.” Repeat this positive affirmation many times throughout the day and believe the words as you recite them. 7 – Can’t Stands List – Write out all the things that you didn’t like about your partner. It may help you see that he or she really wasn’t the best match for you in the long term. If you have on your list that your ex cheated, lied, cursed, smelled funny, drank too much, or spent more time with his or her friends than you; do you really see a healthy future with this person? 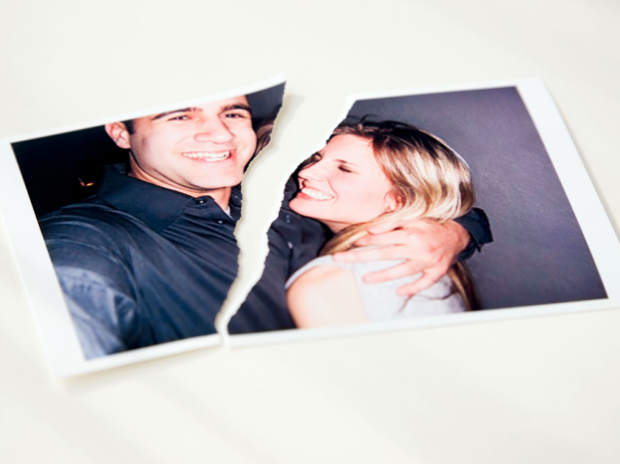 The end of your relationship may have been a mutual decision or you may have been dropped with no warning. Regardless, find good memories to hold onto, and forgive your partner for any pain they caused you. Also, forgive yourself for any pain that you may have caused them. Relationship detoxing is about finding inner peace with yourself, and fully releasing your partner from your life. It isn’t healthy to hold on. By doing this, you are just missing out on so much that life has to offer you, like a better partner, a better relationship, and a better life. With these seven steps, you can expect to feel increasingly calmer each day. This small chapter of your life has come to an end. Believe that the next chapter will be even better. It always is.